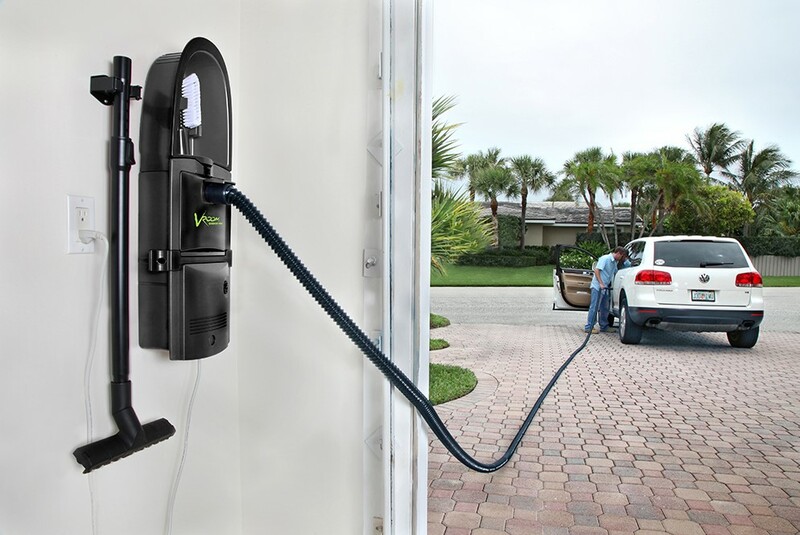 One of the most recent and exciting developments in the central vacuum industry is the Hide-A-Hose. 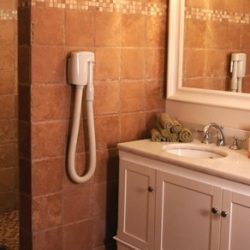 The hose is stored in the piping system, easily available for use and retracts when you are finished cleaning. Call us to discuss the Hide-A-Hose…especially for new construction. 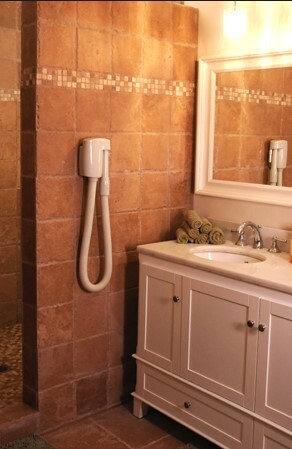 Customers love the convenience of the Vroom in their kitchen, laundry or mud room. Some have chosen the garage as a logical location. 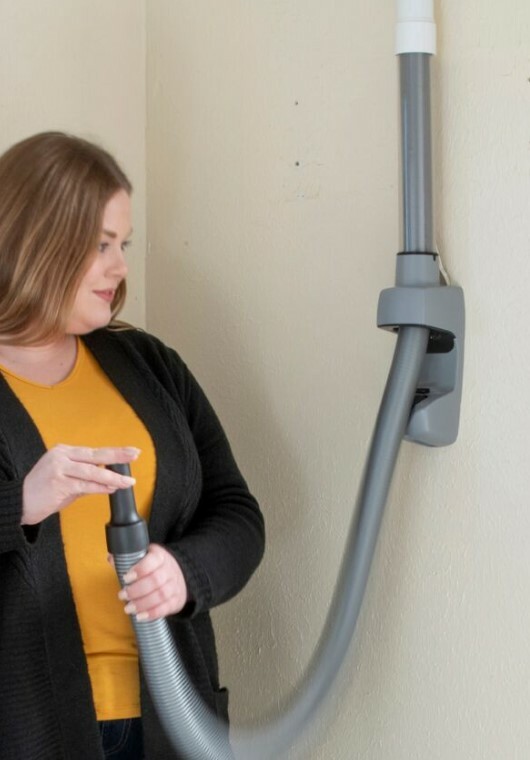 The Vroom connects to your existing central vacuum system and provides a quick clean up capability without the need to get the standard length hose, plug it in and then return it to the rack. Vroom is perfect for fast clean up of dry spills. 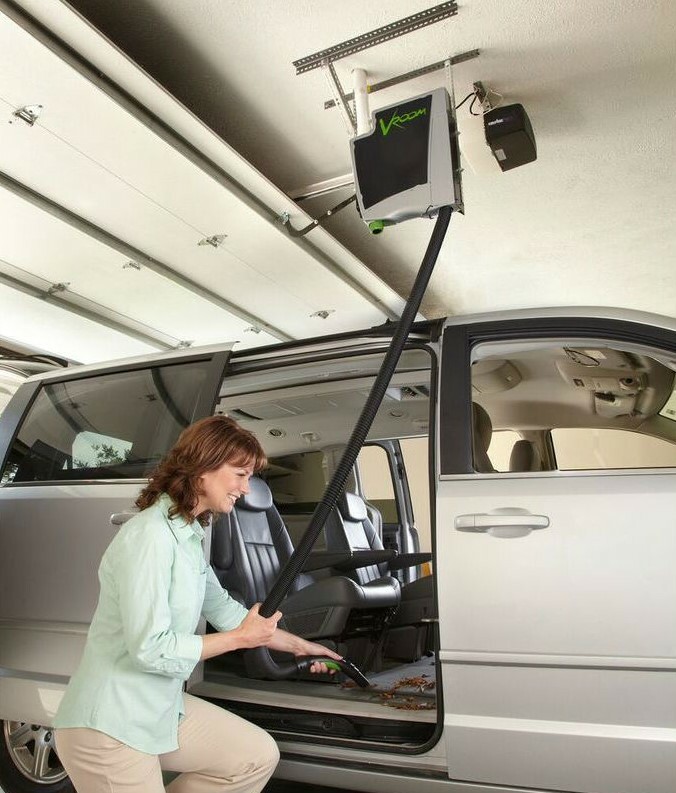 brings the speed and convenience of central vacuum retractable hose systems to your garage! 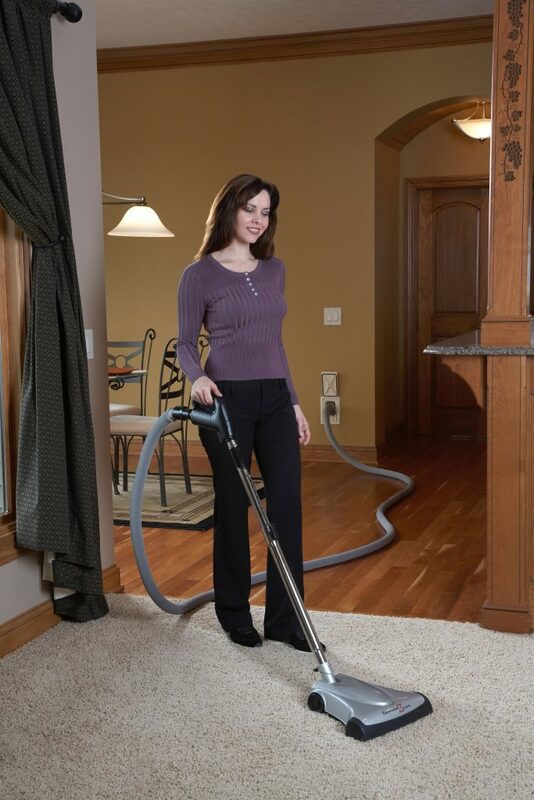 Just pull out the hose, vacuum any mess and retract back in seconds. 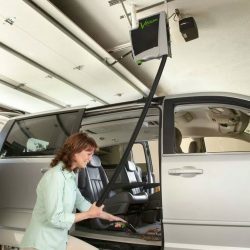 With its extensive hose reach, the Vroom Retract Vac cleans everything inside and outside your garage: cars, workbenches, shelves, floors, ceilings and more! The spot is the ultimate in quick clean for a localized area, especially if cabinet or closet space is unavailable nearby. 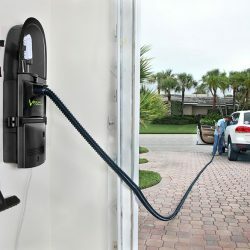 This new product is perfect for the detached garage or the homeowner that does not yet have a whole house central vacuum. 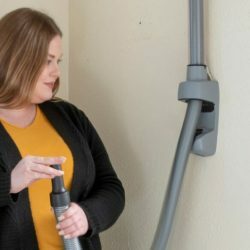 Quick and easy installation, this handy tool fits into 2-1/2 feet of space while providing power vacuum performance. It is great for cleaning car interiors, car seats, campers, RVs, boats, garage floors, workbenches, around windows and doors and other dirty garage messes. You’ll be spot cleaning little messes before they get big.